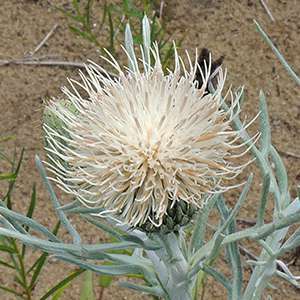 A member of the sunflower family, Pitcher’s thistle has cream-colored or yellowish flowers on stems of up to 30 inches. In late June, its seeds are dispersed by the wind across the dunes and buried in the sand. Pitcher’s thistle can be found throughout the dunes along the shores of the Great Lakes. While they primarily root in dry, stable dunes, they also live in loose sand as well as moist areas within reach of waves. Pitcher’s thistle is found on the shores of the Great Lakes, primarily in Michigan, though there are also populations in Indiana and Wisconsin. 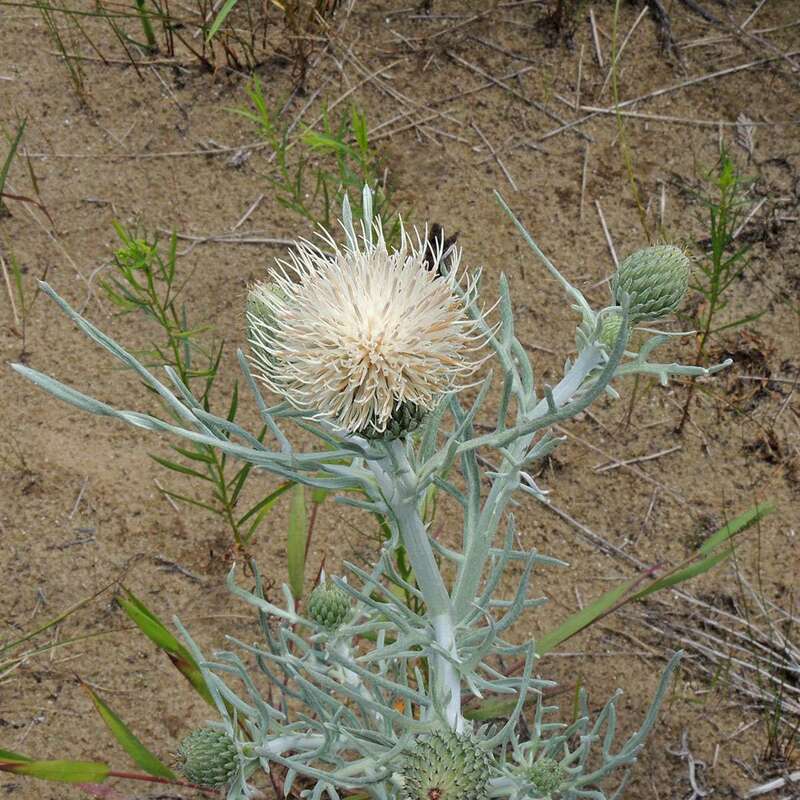 The largest threat to the Pitcher’s thistle has been disturbance of its dune habitat. Roads, houses and other development on and near the dunes have decreased suitable habitat. Frequent trampling by visitors and competition from nonnative plants have also decreased the plant’s populations. Scientists have successfully introduced new populations of Pitcher’s thistle and existing populations are stable. However, development, trampling and invasive species continue to threaten the plants’ long-term health. Federal land managers, like the National Park Service, will continue to monitor the health of the plant and educate the public on how to help protect it.